3. 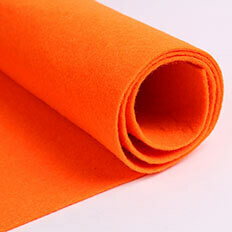 Certification: SGS, ROHS, ISO9001. 7. 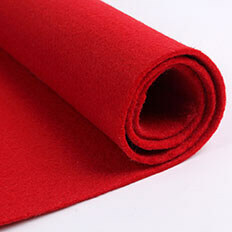 Thickness: 0.08mm, 1.0mm, 1.2mm, 2.5mm, 5mm. 8. 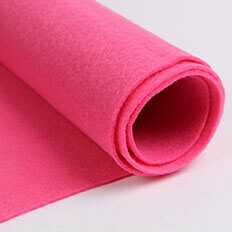 Feature: eco-friendly, breathable, anti-static, tear-resistant. 9. Colors: red, green, pink, blue, navy, brown, white, black, about 50 kinds of colors. 10. Feature: good permeability, high density, waterproof, environmental protection, good elasticity, strong tension, no deformation, exquisite hand feeling, not easy to fluff. 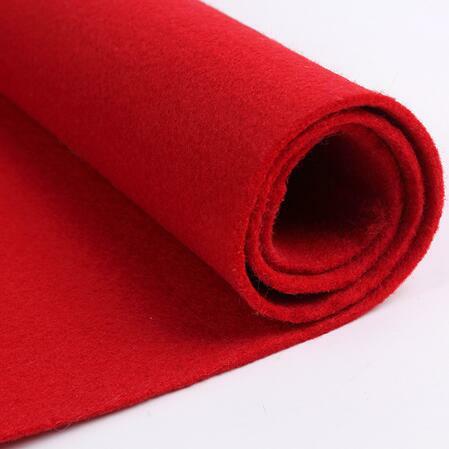 Red felt fabric is mainly used for toys, embroidery, clothing, trade mark, hats, bags, footwear, gifts, DIY, crafts, christmas and car indoor decorations. 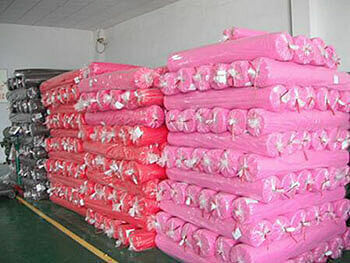 Package: PE bag or with knitted bag.